Over 10 years experience in the Telecommunications industry, we have developed a bespoke consultation solution advising our customers of new innovative products and technologies, whilst always striving to improve efficiency and costs. We’re one of the UK’s leading independent providers of Business Mobile, Data Solutions, Hosted IP Solutions, Fixed Line Connectivity and Commercial Power. We make impartial recommendations allowing us to create bespoke voice and data solutions which boost productivity and reduce costs. Our highly knowledgeable team works to give you the best possible value for money. Keep costs low with a sim only plan. Mobile phone not included! Mobile Device Management allows you to keep your business mobiles and data secure. Machine-to-machine technology allows for a more informed, efficient and agile business. Always be there for your customers with a flexible choice of business phone lines. Voice over IP packs in all the features of a high-end telephone system at a fraction of the cost. Reduce costs by merging all your mobile, landline and data communication into one seamless and scale able solution. Voixfone provides a convenient and environmentally friendly option to recycle your mobile phones and tablets. Our team has helped businesses of all sizes reduce their Business Mobile charges and would be happy to do exactly the same for you. We will provide an analysis of your currentBusiness Mobile Phone usage for no fee. We can then provide an independent and no obligation quote suited to the specific demands of your business. We can offer you expert advice on which tariffs and packages are suitable for your Business Mobiles. Failing finding a match, our team will seek tailored made deal for you from all major mobile networks. Whatever your Businesses requirements, we have an option to cater for you. 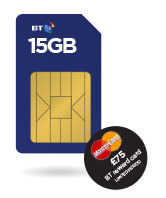 From SIM only to pay monthly or Mobile Broadband, we will provide you with just what you need. "Professional approach, excellent customer service, knowledgeable and helpful advisers. Their website is efficient, easy to use and the facilities are just great. 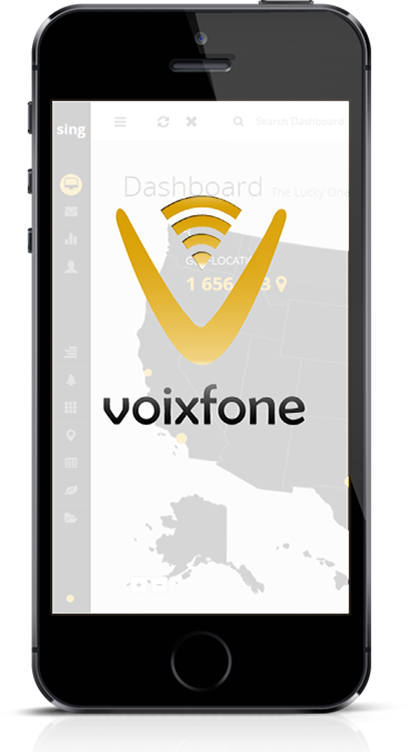 As a business owner, I would highly recommend to anyone, considering employing voixfone services." "As a brand new business, I wanted to ensure that my clients had the easiest access to my services, and an 0800 number was the first port of call. Voixfone responded quickly and efficiently and I had my new number up and running and linked to my mobile in no time at all. The online portal is really useful and the dashboard easy to follow. The ability to monitor my call stats as the business grows will be essential, and I will be able to add additional numbers and features to my account quickly and easily in the future." "Voixfone provide my business with phone and broadband and I found them the best value for money around after a lot of researching. Great customer service, always very polite and helpful on the phone/emails offering alot of technical help and advice"
"We have used Voixfone for a number of years now and their service and support has always been impeccable. I wouldnt hesitate to recommend Voixfone to any business requiring Business Mobiles or VOIP services"
Let's discuss how we can save your business some money! 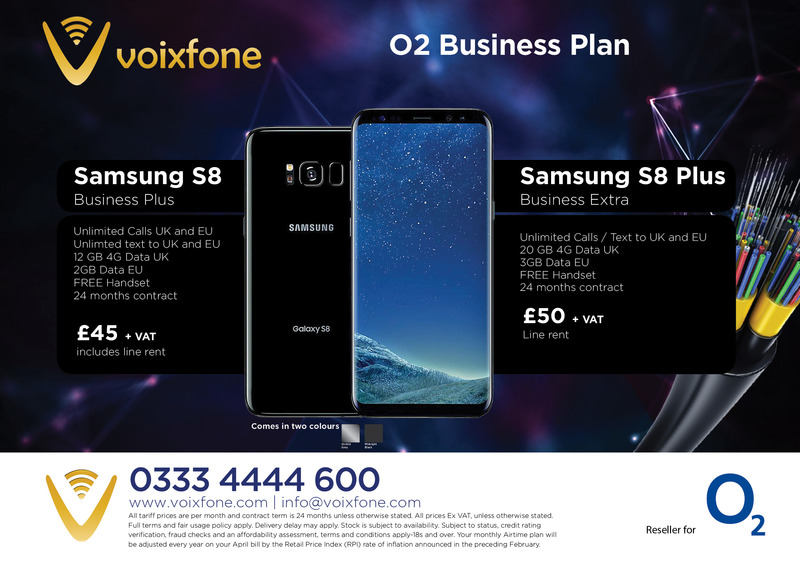 Operating directly with tier 1 suppliers, Voixfone provides you with access to the biggest and most reliable telecommunications networks in the UK ensuring a robust and reliable service, offering a variety of fixed line solutions detailed below. The everyday analogue telephone line is sometimes referred to as a PSTN Line (Public Switched Telephone Network) and is the most common type of installations from consumers to business. A typical installation would see it installed in your premises, using the ordinary copper network and terminated at a white telephone socket sometimes called the NTE, or a Master Socket. Integrated Services for Digital Network (ISDN) is installed into your premises using the standard copper pairs that a normal telephone uses. The key difference is that it is capable of carrying more than one service. Rarely now, but historically it was often used for higher speed internet access back in the days of the old modems.Now it is generally just used for phone calls. The key attraction with ISDN is that it can carry more than a single call, ISDN2e will carry up to two, it also allows for the addition of extra numbers often known as DDI's or Direct Dialling Inwards. To utilise an ISDN an internal PBX is required. Often up to 4 ISDN2e will be installed giving up to eight simultaneous calls. However, with a PBX there may be many more internal extensions and desk phones, as rarely is everyone on the phone at the same time. Offering similar services to ISDN2e, the major difference is that an ISDN30 is provided using Fibre Optic cable to the premises and as the name would suggest, is capable of supporting 30 channels. The channels can carry both calls and data, the latter being less common. Availability of ISDN30 can be a major factor in rural and suburban areas. The infrastructure is rarely already there so must be installed for the customer. This often entails "blowing" or installing a new Fibre in the street back to the exchange and is charged per meter. These "excess construction charges" can often run into the thousands, which is in addition to the normal installation charges. Although termed "30", this is the maximum channel capacity and there is no need to have all 30 activated. There is a minimum however of 8 which aligns with the general cut of point of 4 x ISDN2e = 8 and is the next logical step. You need to select a minute bundle for each analogue and ISDN line. Minutes are not pooled and can only be used on the line to which they are applied. Minutes do not roll over at the end of the month. Bundles can be upgraded, but not downgraded, during the contract term. In some cases, you may have a feature on your line which is not compatible with our broadband or fibre solutions. We will advise you on this as early as possible. Bypass the costs associated with the public switched telephone network (STUN) and invest in a cloud-based telephony system that will last your business a lifetime. Business Hosted VoIP Systems require no additional hardware on-site, just your phones, so your business is ready to instantly benefit from the financial savings. You can still experience all the telephony features you’ve come to expect, such as voicemail, messaging, conferencing and call recording, using VoIP. Scaleable and flexible, VoIP allows you to add more users without having to install additional systems. 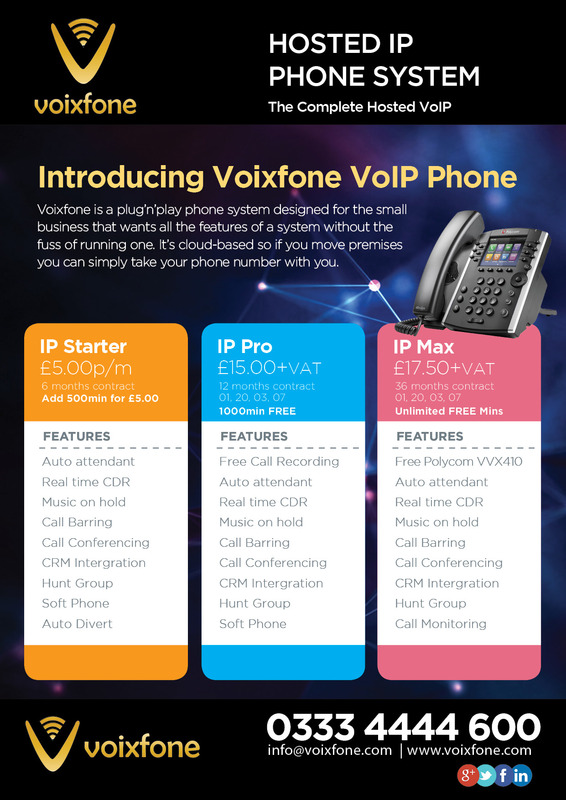 Voice over IP is the future of telephony, so contact Voixfone to see how cloud-based phone systems can help your business grow. 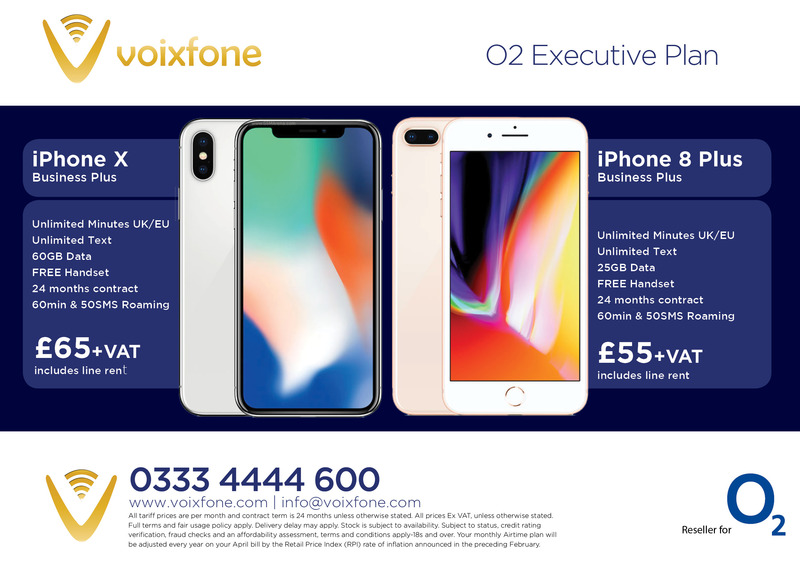 Voixfone have a business broadband solution for any size of business from a sole trader to a small to medium business or a large organisation. We have a range of packages offering high speed and consistently reliable internet access, all designed to give your business the flexibility to grow. As with everything, the transmission of a VoIP call over the internet utilises bandwidth. As a call is two way information sent in both directions, it is obvious that the emphasis on download for most products could be a problem here. Additionally, if the broadband connection is being heavily utilised for data, there might not be enough for the VoIP, so a dedicated connection is usually recommended. Even more so an uncontended assured product may be required. ADSL has been around for a long time and has seen several revisions in its time as speed has gradually increased. The standard offering these days is ADSL2+ which has a download speed of 24Mb and an Upload speed of about 1.3Mb. These speeds however are always stated as an "up to", as varying factors can reduce the speed of the connection. The main factor being the distance of the customers' premises from the actual telephone exchange because the signal breaks down over long distances. Works the same as ADSL however a portion of the download speed is traded off for upload speed, increasing to about 2.5Mb. 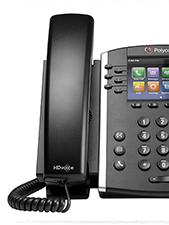 An ideal line for a small VoIP phone system to sit on. Often advertised as BT Infinity or SFBB (Super Fast Broad Band) it is often written as FTTC or Fibre To The Cabinet. 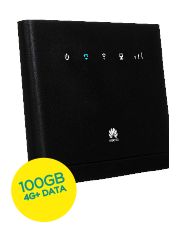 This new addition to the broadband family offers speeds of up to 80Mb download and 20Mb upload. The difference is that the copper wire only needs to take a signal from the premises back to the first green cabinet in the street, a much shorter distance. From here it is converted and sent the rest of the way over a Fibre Optic connection, which is not affected by distance or signal breakdown. Similar to the above, however this time the Fibre Optic cable reaches all the way to the actual customer's premises giving up to 300Mb download and 30Mb upload. This package can be quite costly and availability is currently limited, so one to recommend on caution. 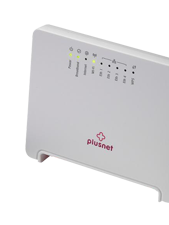 Similar to ADSL – Symmetrical DSL works using very similar technology however the up and down speeds are as the name would suggest, the same. With a top speed of 2Mb it is a fairly redundant option however, it does work well over longer distances. An EFM line is also symmetric. EFM makes use of a standard pair of telephone lines to achieve a connection, but the actual speeds are fairly low at around 2-5Mb. multiple pairs can be "bonded" together increasing the speed reaching around 40Mb, making it a flexible option for companies that are expanding. New technologies also make this fairly redundant however it is an uncontended product meaning it does have a niche position in the marked and again is ideal for VoIP. All broadband and fibre packages come with a single static IP address free of charge, however you can order more if required. 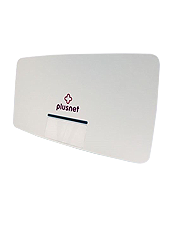 Wireless routers can be purchased via our partners – these are preconfigured, so work on a plug and play basis. To use our broadband or fibre, you must also take your landline service from us. 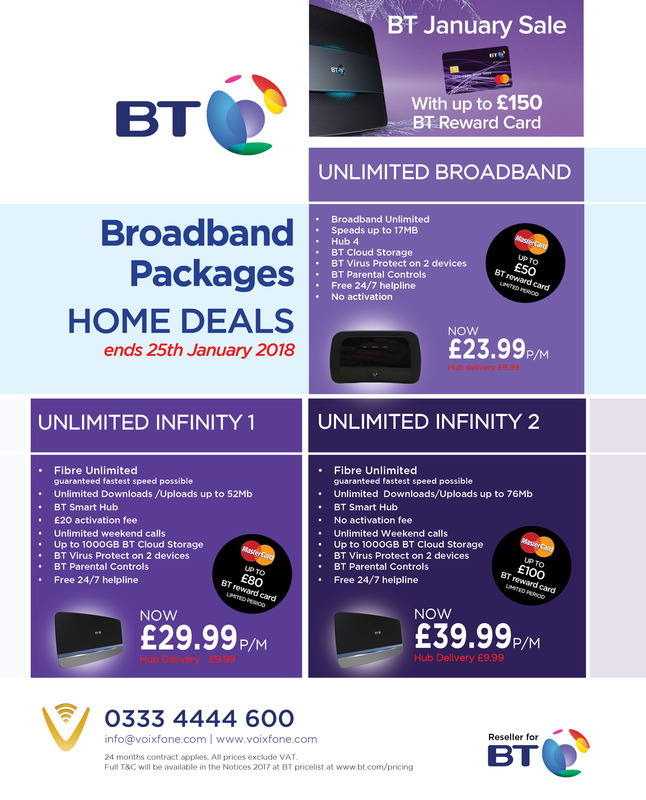 Existing broadband and fibre services can be transferred to us – you'll need to obtain a MAC code from an existing service provider to complete the transfer. Broadband and fibre is not available on ISDN lines – you will need an analogue line. Business communications that combine a range of technologies to provide a consistent user experience across multiple devices and media. Email, SMS, Voicemail, Presence, Instant Messaging, Fixed and Mobile telephony; all integrated to keep your employees, clients and suppliers connected. The rapid convergence of consumer and business technology, driven by the increasing adoption of bring your own device (BYOD) strategies has seen the Smartphone, Tablet or Laptop replace the desktop phone and PC as the business standard. Employee mobility is a business imperative; the challenge comes when a geographically diverse workforce expects the same high quality voice, data and video performance they get from the desktop, delivered on their portable device. 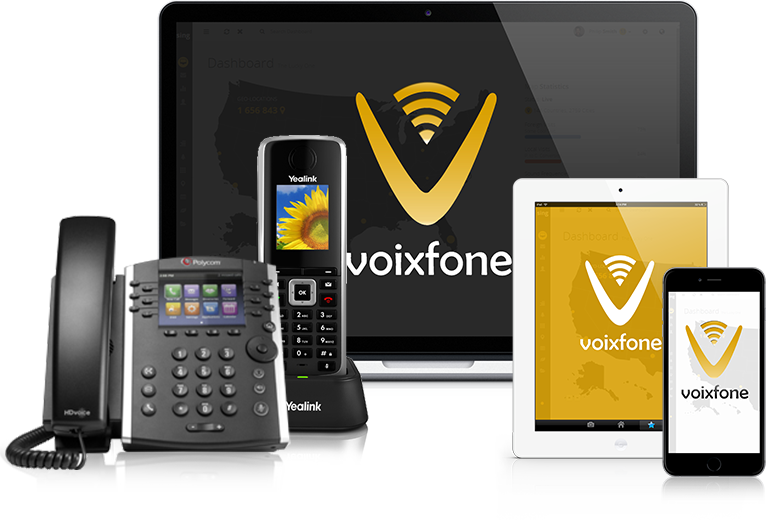 Voixfone is recognized as one of the UKs leading unified communications solutions providers. Our unique approach includes everything from assessing your existing network readiness to planning the deployment road map for your new UC solution. We design, configure and install best-fit solutions based on the demands of the user and the business as a whole. Our vendor-agnostic approach means we are able to recommend the right combination of communications and network technology from the world’s leading vendors (Cisco, HP, Avaya, Mitel, Microsoft, Blackberry, Nokia, Vodafone, EE and O2) to deliver all the benefits of a truly unified solution. Audio conferencing: Desk-based and room-based, high definition voice. Video conferencing: Desk-based and meeting room-based,high definition video for a near face-to-face experience. Collaboration: Enable individuals to share and update documents simultaneously, or at different times from different locations. Presence and instant messaging: Enable employees to check real-time availability of colleagues and route calls accordingly. 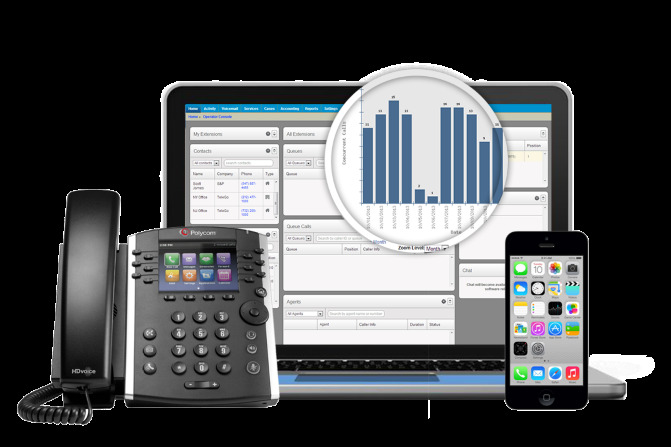 Mobile unified communications: Extend your UC capabilities across mobile devices. Talk to a unified communications expert. Call 02038411900 to enquire now. Voixfone provides a convenient and environmentally friendly option to recycle your mobile phones and tablets. Let us unlock the potential revenue from your unwanted mobiles. In the deepest, darkest corners of forgotten offices, practically every business has a drawer full of unused and outdated mobile devices which have, over time, been replaced by the newer, smarter models. But what do you do with these sorry-looking rejects? Trading in your old devices not only frees up much-needed desk space, it also allows you to generate additional revenue for your business. Here at Voixfone we offer an environmentally friendly, mobile phone recycling service, via our partners plan.com and West One. We understand the importance of securely handling mobile devices and safely removing confidential data. We provide a free secure courier collection service, from any address, at a time and date to that’s convenient to you… so dig out your old phones and give us a call today! Why sell your phone to Voixfone? Instantly compare 156 tariffs from 21 suppliers offering the best possible solution for our customers! 97% of companies who send us their bills do business through us when they renew! Explain the relevant options and help you choose the right mobile solution, saving you money in the process. Whether your business has heavy or light mobile phone usage you can achieve high-quality, reliable coverage,benefiting from our mobile solutions, which can additionally be integrated with data services and fixed landlines. Businesses seeking better external and internal contact solutions have a great deal to gain. Because we work in partnership with all of the major networks,we offer a vast range of mobile plans, and our in-depth analysis of your current business usage will help determine the most appropriate tariff and network,and which handsets are right for you and your individual employees. Voixfone Mobile team can take a holistic approach and deal with device supply, testing andwarranties on your behalf, saving you time and inconvenience.Growing businesses have changing needs and we are happy to be available to help with key aspects of mobility, such as bring-your-own device, device management, environmental management, fixed-to-mobile convergence, supply consolidation and unified communications. Whether you are simply seeking upgrades or hunting for a new mobile business deal, we can source the best contract to meet your needs, and you can rest assured your business is in safe hands. 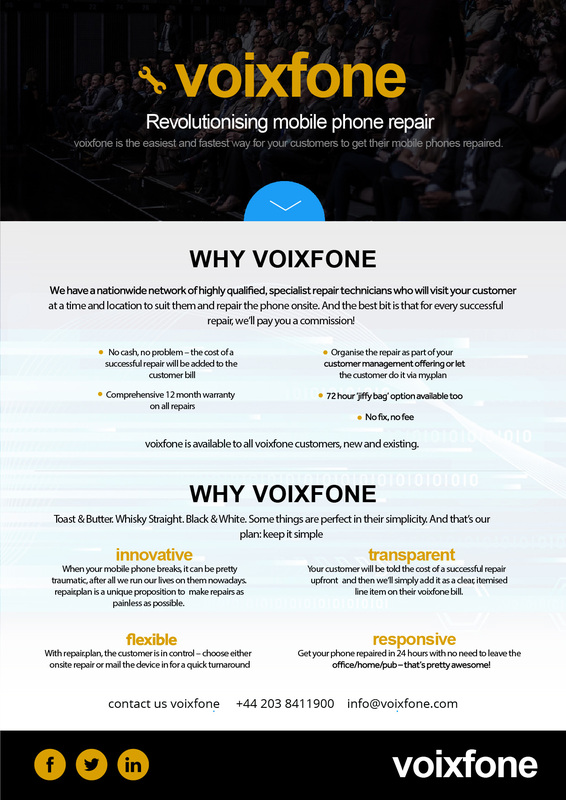 Why Choose Voixfone for your Business Mobile Call Plans? Let us do the checking when it comes to single plans. We'll analyse the market and our partners and provide a bespoke price plan that suits your needs. Saving businesses money is what we do. Single plans as well as other solutions from Voixfone have contributed to massive reductions is many companies' monthly outgoings. 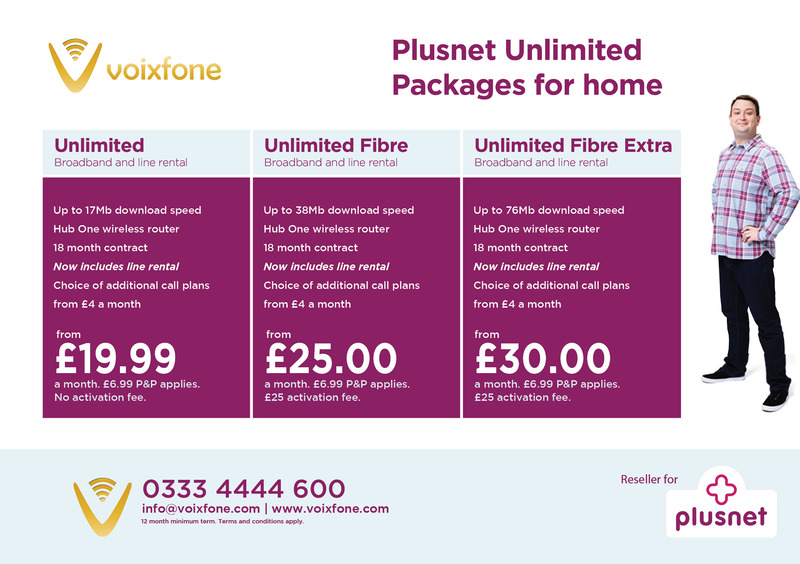 Our partnerships with the biggest UK network providers mean we can offer you the perfect single plans and tariffs. Our wide range of business mobiles provides you with a whole host of options when it comes to selecting the right deal. Can you get by with 2GB of data? How about 20GB? 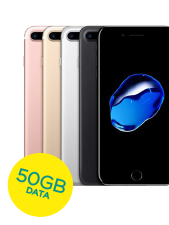 Whatever your data usage, our single plans come with bundles and bundles of data, meaning you will be out of contact when out and about. 4G single plans from Voixfone provide you and your business with lightning fast data speed. Stay up to date on relevant events within your business and industry with huge download and transfer capabilities and smooth video calling. Need a hand? Your very own dedicated accounts manager will be ready to take your calls and questions. They'll find you the perfect single plans, tariffs and packages to ensure your business is ready to face the world. If you're after a little more bang for your buck, some single plans networks offer a few business extras that may be of use to you and company. We'll find the right ones for you and let you know how they can help. Get in touch with one of our team today to learn more about our business mobile single plans. We'll be sure to only advise on what we think is best for you and never try to sell something you don't need. EE have the UK’s biggest 4G network with more than 93% of the population covered. 4G+ brings you download speeds of up to 90 Mb/second. It’s like getting fibre speeds on your mobile when you’re out and about. For just £3 extra a day, you can use your UK minutes, texts and data in Europe. Get a virtual landline number you can answer on your mobile. Ideal for small business that never want to miss an opportunity. Plan are the UK’s fastest growing business communications provider my.plan.com gives you unprecedented levels of control over all your plan.com solutions with most day-to-day management tasks completed online in just a few clicks. If you want a strong, reliable Mobile Internet connection, then it’s worth asking a strong and reliable company to get it sorted for you, don’t you think? We partner with all the big networks, but are still an impartial and independent company. That means that we always find the best connection and tariff for you - because you’re our Number One. Our Genius experts, Easy Switch and Total Care teams make finding the right plan and getting connected simple, so you can just keep on keeping on with business, completely hassle-free. Super fast 4G mobile internet: it’s taking over the nation by storm - a lightning fast storm that keeps you connected. And we’re pretty whipped up about it. Want to know why? 4G is five times faster than 3G, making you and your business more efficient and productive, particularly when you’re working away from the office. Just imagine all of the things you can do with those speeds... There’s no more waiting - it’s an instant connection. Checking emails? Video calling? Downloading documents? It’s done. No more buffering, no more refreshing, no more frustration. With hundreds of towns and cities across the UK covered by 4G, it’s worth jumping into the eye of the storm. 3G is the first and original fast mobile data connection. It’s a super reliable and available choice, having been rolled out across the country - so it’ll serve you well as you work on the go. Although 4G has faster speeds, there are some areas of the country that aren’t yet receiving 4G coverage. And some businesses simply don’t require the additional speeds for the additional cost, either. You see, we don’t believe in getting people to pay for more than what they need. That’s why we have our Geniuses come to assess your needs in person, so that our solutions fit you to a ’t’. And our Easy Switch team are here for you to ensure that any change of providers is totally hassle free, so you can sit back and carry on with business as usual. People are always connected on their mobile devices these days. But let’s be honest - none of us want to use up our data allowances if we can get on a free WiFi connection instead. Because of this high demand, many businesses are keen to offer public WiFi services. However, there are a number of areas of legal compliance you must meet before you can embark on beaming out connectivity to your customers. But don’t get confused by all the legal stuff. Public WiFi with Pure is provided and implemented according to all rules and regulations so that you can offer connectivity that will run safely, securely, and be compliant with all UK and EU law. So relax - we’re on to it for you, and will have you all set up, present and correct, in no time. Your customers are going to be beaming. Get great value calls, texts and data using your existing phone on a business SIM Only plan. SIM Only deals are exactly that… A pay monthly phone contract which just comes with a SIM card, allowing your business to continue using its existing range of mobiles. SIM Only plans are flexible too. Choose from 30-day plans, 12-month plans, or even 24-month plans for better value. You can transfer your existing number across to your new SIM card plus, after four months, you can upgrade to a monthly plan (T&Cs apply). 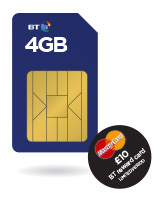 A 4G-enabled phone benefits from lightning-fast data speeds in areas with 4G coverage. Whilst a SIM-enabled laptop or tablet, with a flexible SIM Only data plan, will let you connect to your office systems, respond to emails, download documents and much much more. Instead of buying a contract that comes with a phone, a SIM Only contract gives you a SIM card with minutes, texts and data included, but no phone. Just slot the SIM card into your current phone and you’re ready to go.It’s a cheaper, simpler way to get what you want from a contract. It also means you can upgrade your phone whenever you want. Why would I get a SIM Only contract? It’s a good way of cutting down your monthly outgoings as SIM Only deals are often slightly cheaper than standard monthly contracts. 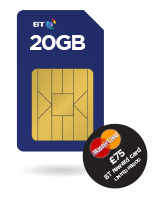 If you’re happy with your phone but want to change the benefits of your contract or switch networks, SIM Only is a good option.Lots of people also use SIM Only as a stopgap. If you know what phone you want, but it’s not on sale yet, SIM Only is brilliant. The contracts can be just 30 days long and can be renewed after each 30 days. That way you can swap to your dream phone as soon as it’s out. 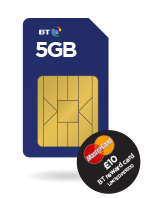 Are there any other benefits of a SIM Only contract? 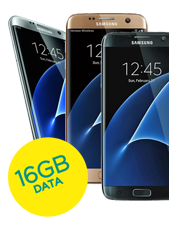 If you love your phone, keep it and get a great value SIM Only tariff – either by itself or as part of a broadband, TV and calls Big Bundle deal. With more employees using their own devices for work-related tasks, businesses need to ensure that all devices, whether company-issued or employee-owned are safe and secure. Voixfone powerful yet flexible Mobile Device Management (MDM) solutions allow businesses to securely control access, content and applications, as well as set policies to protect information, without wasting time on administration. If your business requires remote locking and device wiping, split business and personal data capabilities, secure access to the Intranet and more, then contact Voixfone and let us help secure your devices with our MDM solutions. M2M uses a range of technologies to create intelligent assets. First, sensors and other electronic devices are attached to a remote machine. Depending on the machine’s particular function, they capture relevant data, such as temperature or speed. This is transmitted wirelessly from a SIM integrated in the device to a central server, where it is translated into meaningful information. In response, messages can then be sent the other way to change the way the machine is behaving. For example: the machine is running too fast; slow it down. Machine-to-machine (M2M) lets you connect any machine to any other machines (and to your people) via SIMs over a mobile network. This allows them to exchange all sorts of useful real-time information on how a remote asset is performing. For example, knowing where a car is located, knowing that a refrigerator is low on pressure or knowing that a vending machine is faulty might be vital to your business and receiving this information remotely can help your company work smarter plus enhance your customers’ experience. More than 40% of businesses see M2M as important, yet fewer than 20% have actually introduced it. So for those that do, it’s a great way to gain that competitive edge. Contact Voixfone and let us give you that advantage!